This retreat includes three 45 minute private sessions with our talented practitioners listed below. Value: $75. Gemstone Power Tune-up with Maria Barresi This unique 30 minute session allows your whole body to balance and unblock stagnant energy in the Chakra System, increase and renew your energy reserves, and help ease physical, emotional, mental, and spiritual distress. Plant Ally Reading with Iris Weaver Plants are about transformation. Transforming sunlight into chlorophyll, water and air into physical tissue. They teach about taking what we are given and transforming it into what we need. Plants have their own knowing and are waiting to share their wisdom with us. The spiritual and energetic properties of plants and herbs are presently being brought back into human awareness so that we can consciously use them to heal and whole ourselves. Iris will help you find your plant ally. 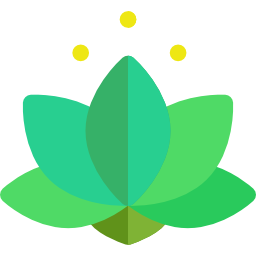 Unite your Body, Mind and Spirit with Lakshmi Linda Sirois Lakshmi provides a safe space for you to share who you are, guides you with your chosen modality, unites your body/mind/spirit, and helps you to be present, feel better and have new skills to improve your life. She is a Licensed Mental Health Counselor and Board Certified Dance/Movement Therapist Certified Kundalini Research Institute Yoga Instructor. She offers Expressive Arts Therapy (including authentic movement, dance, art, sound, drama, and dream therapy) and Kundalini Yoga, Meditation and Stress Reduction sessions. Intuitive Reading with Jill Alexander An intuitive reading examines how you are using your energy in and around your body. It can be a great way to obtain more clarity or simply for fun. Where appropriate, energy can be shifted or cleared to create space for healing. Jill can be reached at www.energywellnessne.com, jill@energywellnessne.com, or 617-784-8298. Treat your feet! with Linda Scott, LMT, RM, Integrated Reflexology Let the skilled intuitive healing hands of Linda Scott massage your feet while paying attention to specific reflexology points so as to relax and revive you – inside and out. And to balance you from head to toe, a little cranial work is added. Linda can be reached at ikneadyoursoles.com, linda.scott.namaste@gmail.com or 978-290-6755. Meet Archangel Raphael with Peg Jones, Angelic Life Coach Come meet Archangel Raphael and receive a message from your angels from Peg. Peg helps you receive the messages from your angels for self-healing and moving through life challenges. Peg can be reached at pegsangelicalwhispers.com, peg@pegsangelicalwhispers.com or 978-532-0574. Sign up for May 30th via Paypal here. There is one spot left for June 1st. Sign up via Paypal here. We also take cash, check and credit cards – call us at 978-338-5571or email us at info@thehealingcenterbeverly.com to reserve your spot and arrange for alternate payment. Next postDo you need a little YOU time?